If you talk about the Indian authors who tasted success in recent past, then Ravinder Singh will be one of the names on the top. Ravinder Singh’s books are always on the bestsellers list and popular among the young students readers. All Books written by Ravinder Singh have been accepted widely as best romantic books by Indian author. 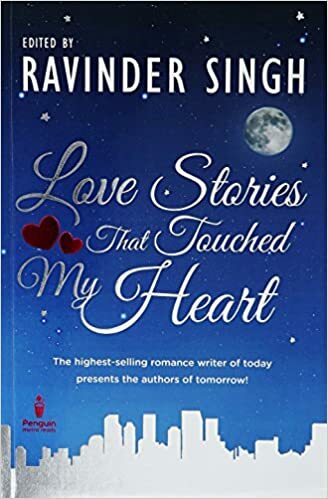 After the release of his book first book – I too Had a Love Story – in 2008, Ravinder Singh Books List has grown richer and richer. The latest novel written by Ravinder Singh is This Love That Feels Right published in late 2016. Today, I am going to feature all books of Ravinder Singh including his latest novel too. Without further ado, lets begin the list of books by Ravinder Singh. Here is the complete list of all books written by Ravinder Singh including his latest novel published in 2016. In 2008, Ravinder Singh released his first book I Too Had a Love Story. This first book from the Ravinder Singh books list is based on the real life of the author. 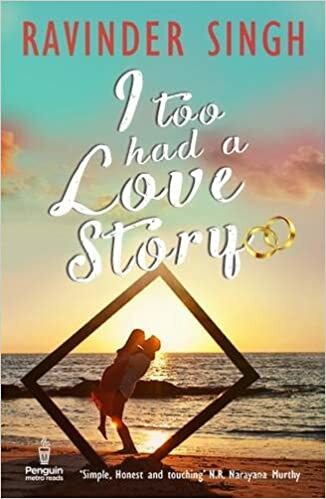 I Too Had a Love Story is about Ravin and Khushi who meet each other from a matrimonial site. They fall in love and look forward to getting married. But destiny had other plans as Khushi dies just a day before the engagement. The story has an emotional end but perfectly explains the uncertainties of life. 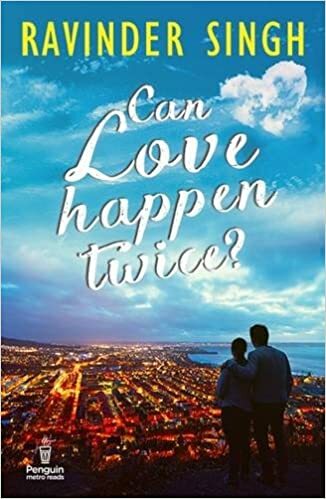 Published in 2011, Can Love Happen Twice by Ravinder Singh is his second novel and the sequel to I Too Had A Love Story. In this part, Ravin happens to meet another girl Simar who kind of helps him to reduce the agony of Khushi’s loss. However, this time also, Ravin ends up in misery and emotional fall as Simar leaves him the same day he had lost Khushi. Can Love Happen Twice, the second one on the list of books written Ravinder Singh, is an emotional and very touching tale? 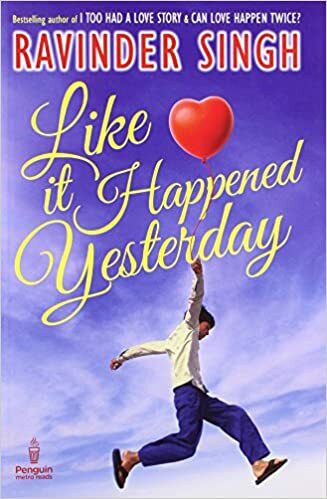 Author Ravinder Singh penned Like It Happened Yesterday, his third novel, with a different subject. Among all books written by Ravinder Singh, Like It Happened Yesterday deserves a special mention. Because, unlike other being love stories, this one is more of a lovely journey back in time to our childhood. The author recalls all the events from childhood like school, vaccinations, exams, friends and more. This is what makes it a cherishing read. 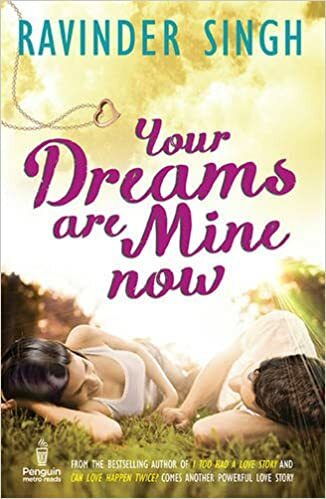 Ravinder Singh wrote his fourth novel Your Dreams are Mine Now in 2014. It is another heartwarming love story of a Delhi boy, Arjun and small-town girl Rupali, both studying in DU. Set in the backdrop of university politics, this book explores love between two opposite personalities. Arjun and Rupali set out for a journey against the evil politics and gives the ultimate tests of their lives. This fourth book written by Ravinder Singh made him counted among renowned authors of India. This is the latest novel on the Ravinder Singh books list. 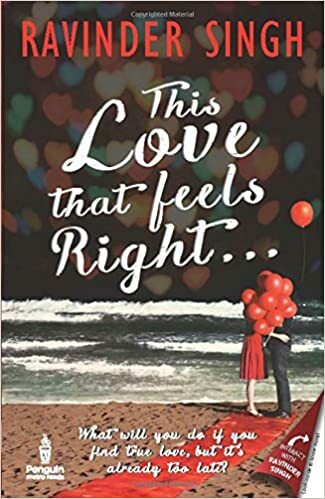 This Love that Feels Right by Ravinder Singh is nowhere near an ordinary novel. 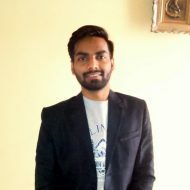 Ravinder Singh has created another unique love story; romance being his forte. The story is about Naina, Arav and Malvika. The concept is unique and weaved into an engaging story. There are places in the story which will leave you to question yourself how Love knows no limits and rituals. 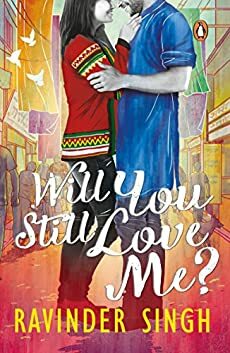 Released on the Valentine’s Day of the year 2018, Will You Still Love Me?, is the latest novel by Ravinder Singh. The story revolves around Lavanya and Rajveer who had found the love of their life in the flight. Two different people from distinct worlds, fight against all the odds to give the ultimate test of love. 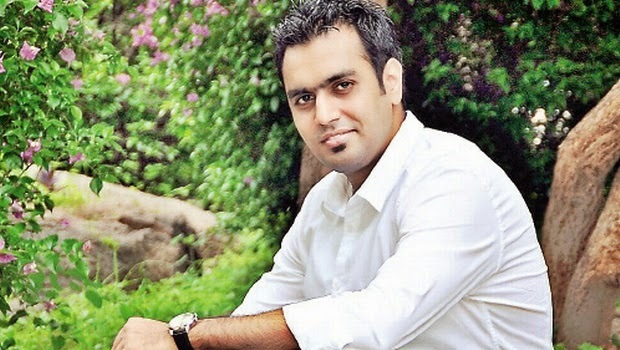 Apart from writing single novels, Ravinder Singh also works with various budding authors. He has edited two anthologies that feature a number of stories by different authors edited by Ravinder Singh. Here is the complete list of books edited by Ravinder Singh. 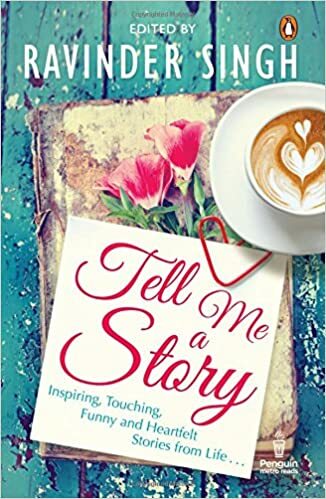 The book, Love Stories That Touched My Heart, is a collection from readers who have a tale to tell, shortlisted from over 2000 entries. Penguin India conducted a competition for readers an invited their stories. The selected stories were compiled and edited by Ravinder Singh. Among all books of Ravinder Singh, this one is his editorial debut. It encompasses all emotions associated with love – anger, frustration, anxiety, eagerness, delicateness and nervous energy. In 2015, Tell Me a Story by Ravinder Singh was published by Penguin Metro Reads. This book by Ravinder is a collection of 21 short stories that come from the fondest of the memories of different authors. Each story is edited by Ravinder Singh personally ans describes happiness to sadness. Tell Me A Story by Ravinder Singh says various emotions of life so beautifully. It is the sixth book on the Ravinder Singh Books List and the second one on editorial contributions by him. Well, that was the closing of the list of books written by Ravinder Singh. But I believe, Ravinder Singh will continue to give us the dose of Love, Relationships and Drama. So, towards the end, I can promise one thing, this Ravinder Singh books list will definitely add up to your reading list. If you have anything to share about Ravinder Singh Books, please feel free to drop your valuable words in comments. sir your novels are really good.I can visualize all the things. Thanks sir for writing such nice novels. I will prefer to read more books written by you.